Are you one of those who has minimalist white (or black) shirts and simple coral tunics taking up most of your wardrobe? 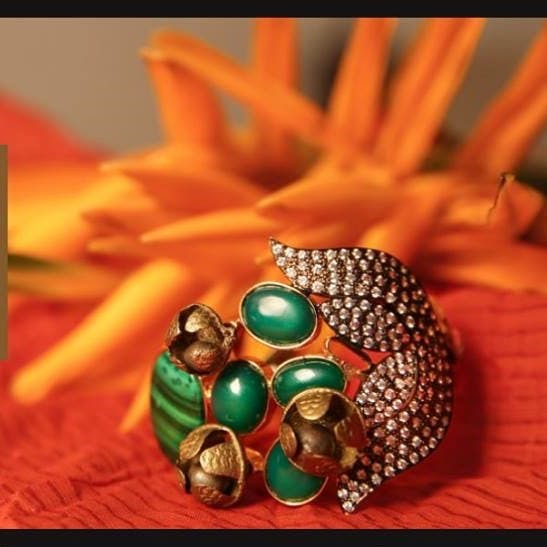 These accessories from Zaza by Somya are the perfect accessories to amp up your looks. The latest trend is that of simple solid-coloured clothes that are notched up with statement jewellery. Zaza is the perfect stop to stock up your accessory drawer with these. Contemporary, colourful and creative, all of these pieces are customised by Somya Poddar. Her collection is an amalgamation of bold yet beautiful pieces. They are equal parts feminine and fearless. Inspired by Indic elements and handcrafted by skilled karigars, hers is an elaborate collection of necklaces, earrings, rings and more. Her office double-times as her work station and is located on Shakespeare Sarani. You can visit her by appointment. She has pieces ready and on the rack to buy and a lookbook which you can browse for a wider range of designs. The pieces range from INR 3,000 to INR 10,000. You can also place your orders through her Facebook and Instagram pages. Zaza doesn't have a showroom yet, we'd love a space to walk into anytime to admire these beauties. Any piece ordered from her lookbook will take a minimum of 15 days to prepare. She delivers all over India.